First and foremost, a big scary monstrous Thank You goes out to all those that came out to Blue Arrow for the release party last night! We had a great time, rapped about comics and movies, and moved quite a few units. A HUGE Thanks to Blue Arrow Records & Boutique for hosting the event, and John Neely for spinning records! Secondly, The Lake Erie Monster #1 is NOW AVAILABLE through the Shiner Comics store! Operators are standing by and ready to take your order! CLICK HERE!!! For Clevelanders, the issue will be surfacing at various local retail outlets this week, so check back here for updates as to where it’s available. A digital version will be available for download shortly. 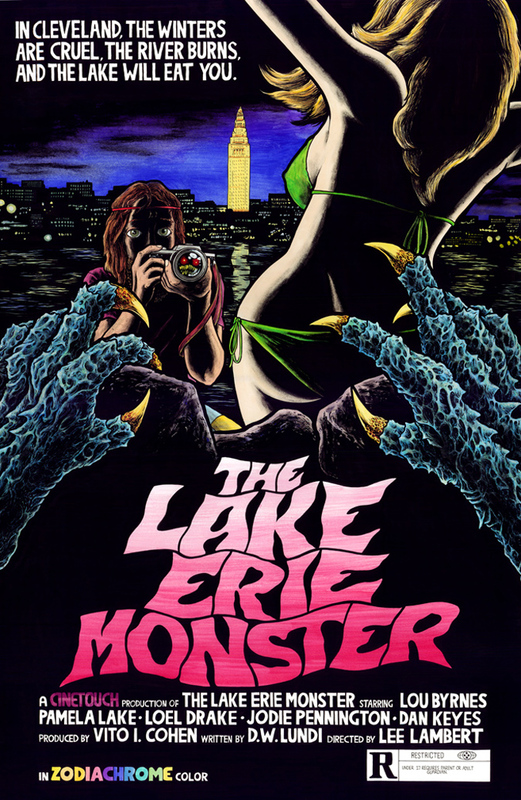 Thirdly, also available is The Lake Erie Monster Movie Poster, a 12″ x 18″ version printed on fancy matte card stock. Suitable for framing! Order both the poster and the comic or the full on Lake Erie Monster Effect! 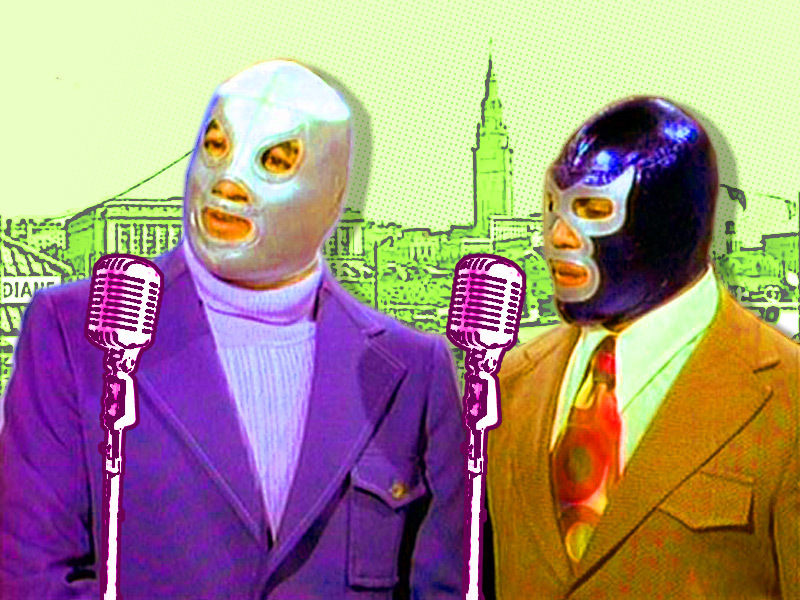 Fourth, and last, the comics podcast Comics Are Go! were nice enough to have us on to talk a little bit about The Lake Erie Monster. There’s a Special Edition Episode listed between episodes 108 (which we are also on) and 109, on the Comics Are Go! iTunes page. Check it out for a little more insight into the comic and hear us say some goofy stuff! « August, 1973. Cleveland, Ohio.